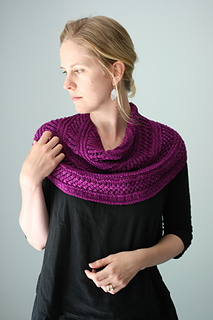 Dewberry is a sweet and simple single-skein shawl-cowl hybrid. 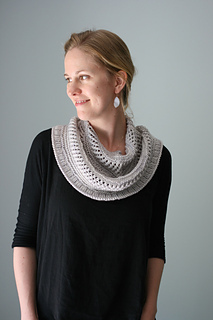 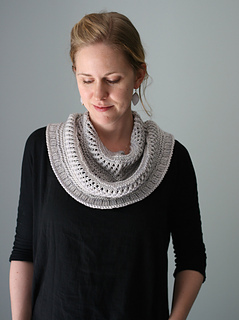 Designed to use up a small amount of worsted or aran weight yarn, this piece is shaped like a semi-circular shawl but is worked mostly in the round to resemble the look of a small shawl worn wrapped around the neck. 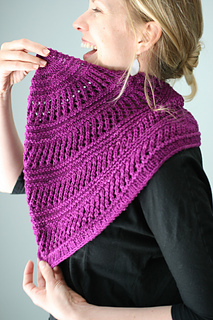 Dewberry utilizes purled stripes and the simplest of lace patterns to give it texture and interest. 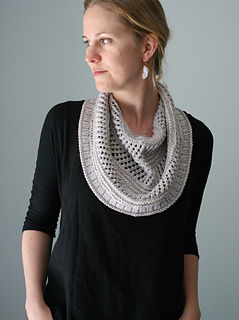 It comes in two sizes and can also easily be enlarged by using a heavier weight of yarn. 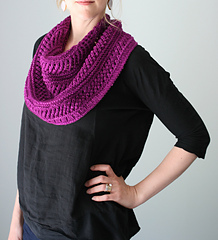 This cowl whips up in no time at all, so if the weather changes one morning and you find yourself needing something new to keep you warm, Dewberry will be ready for you by that afternoon. 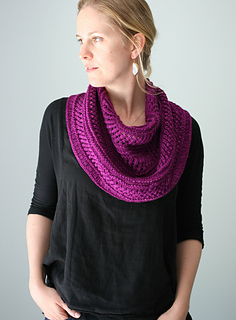 Meeting these exact gauges is not crucial, but any major differences will affect the size of the finished cowl.